I first met Robert Gallardo in 2009, when I made my first visit to the Neotropics for the Mesoamerican Bird Festival in Honduras. Robert arrived in Honduras with Peace Corps in 1993 and has been a resident ever since. He has recorded over 20 new bird records for Honduras, dozens of new butterflies, new orchid records and even new species for science. On top of that, he wrote and self-published Guide to the Birds of Honduras (which we interviewed him about back in 2012). Here, he talks about the need for national field guides written in the language spoken in the country, and asks for help funding the translation of his guide so he can distribute it in Honduras. How many of us have gone bird watching in a country where the native language is not English? I bet we number well into the hundreds of thousands. If there was a bird book available for that country I’ll bet that it was, in fact, written only in English. Maybe some of us have pondered upon the notion that the nationals of these countries are being left out in some manner. Well, they are. It’s no big secret that major publishers rarely, if ever, print these bird books in a country’s native language. From their point of view this kind of makes sense since this type of publication is not “economically viable.” There’s no return for the almighty dollar. But we return to the same point. How can the people of a country take an earnest appreciation and any magnitude of assimilating any kind of conservation ethic if they don’t even have access to literature pertaining to their own country? How can WE expect them to conserve their own natural heritage if they can’t even read books on THEIR flora and fauna? Good question and kind of hard to swallow. If I’m not mistaken, it took more than twenty years for Ridgely’s Guide to the Birds of Panama to come out in a Spanish edition. A worthwhile and commendable effort. In 2015, with my self- published Guide to the Birds of Honduras, I had the intent to simultaneously print it in Spanish. Sadly, this didn’t happen. But this is about to change. I’ve resided and worked in Honduras since 1993 and really believe that in order to conserve and sustainably utilize its natural resources one has to get the nationals involved. I’ve done what I can to support the bird industry and modern ornithology in Honduras with my book and bird-guide training courses. 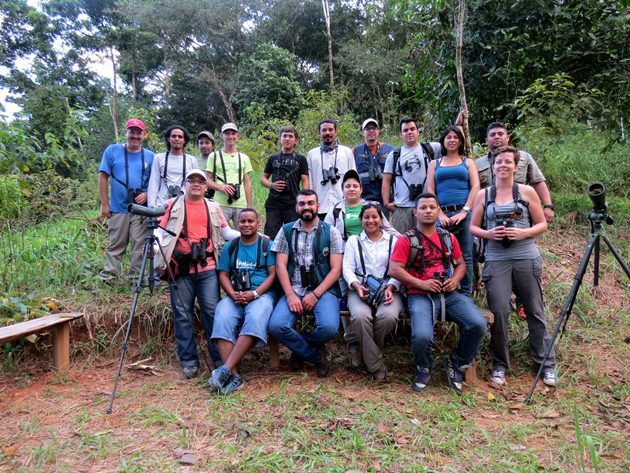 The result of these efforts has been the creation of many local birding clubs, and Honduran birders now probably run into the hundreds and this number continues to grow. But there’s still something missing. A Spanish edition of my field guide. Robert (back row, far left) with a class of bird guides he taught. A group of twenty volunteers have been busy translating the nearly 500 pages of the Honduran bird book and are nearly half-way done. They hope to have a working draft completed by the end of 2017. Once finished they can go to print. The goal is to print as many books as possible and put them into public schools FREE of charge. Book placement in schools would be targeted to sites in the vicinity of national parks and other protected areas which act as a stronghold for a large percentage of the country’s precious avifauna. You can help this effort by donating toward the printing of books. Missouri is again jumping on board to help with the translation project of the Honduran bird book. Both the Missouri Department of Natural Resources and the non-profit Missouri Conservation Heritage Foundation were key in sponsoring the English edition. They provided two matching grants for all the donations sent in by those who wanted to help. They have an account where donations can be sent and you will receive a tax-deduction. Any amount is greatly appreciated. Make sure you note on your check that it is for the Honduran book translation project. Thanks Laura for your insight into the need for a national bird guide in the language of the country, in this case Honduras and Spanish. I agree with you 100% and know from experience that birding is hard when there is no bird guide for a place that you are visiting. I can see that your quote from Robert was from a time when he didn’t distinguish between two Missouri agencies…The MO Dept of Nat. Res. (MODNR) and the MO Dept. of Conservation (MDC). It was the latter that has been working with Robert, although he hadn’t figured out the difference at the time. MDC and MO Conservation Heritage Foundation (MCHF) develop partnerships with many NGOs in Central America, Mexico and South America. MDC and the MCHF are still actively receiving, evaluating and selecting projects to support. 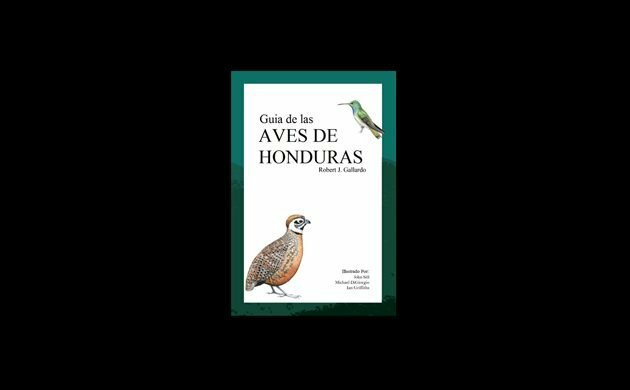 There is often a match for funds donated to the MCHF for projects like the Spanish Translation of the Guide to the Birds of Honduras by Robert Gallardo. Cynthia or Jan at MCHF will be able to let you know more about the book translation project and match. Many of MIssouri NAS Audubon Chapters and the Audubon Society of Missouri are regular partners on conservation projects for Missouri’s breeding birds when they are on their wintering grounds outside the USA. http://mochf.org/project/missouri-tropical-bird-account/ This article on MCHF’s website has a paragraph on the Guide to the Birds of Honduras. Just wanted folks to know about this worthwhile project, as it is related to Missouri (keep reading to bottom). Now that I’m living in Mexico, I can totally vouch for the need for this! Local folks need to learn more about their birds if they are to work to preserve them. Guides need the support of a book written in their language. Please consider this. Thanks!